The khen is very popular with various ethnic groups in Vietnam, such as the Thai, the Muong and the H'Mong . The H'Mong use the khen for courting, and as an instrument for khen dances. 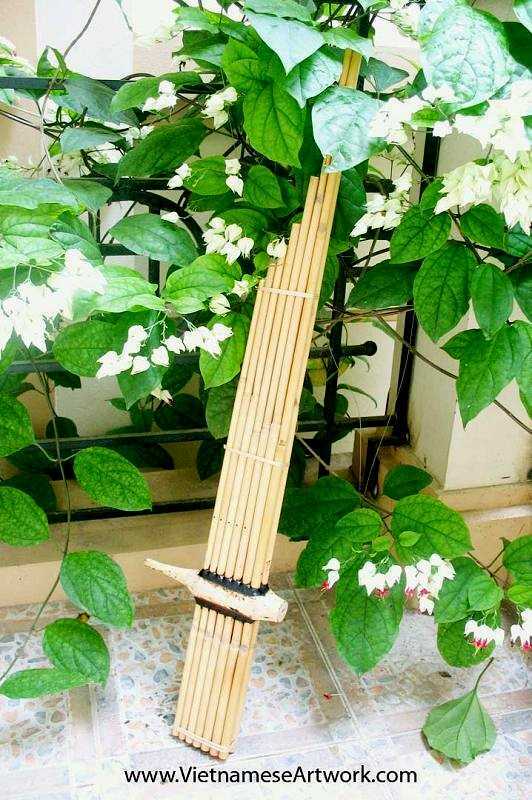 This khen is a wind instrument consisting of fourteen small bamboo tubes, made in Vietnam.